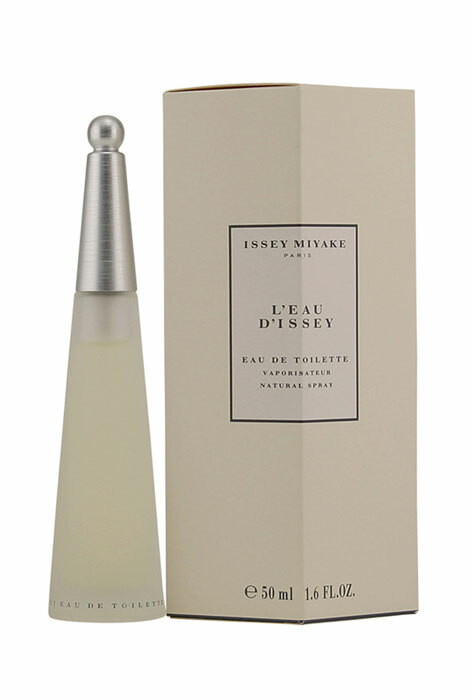 L'Eau D'Issey by Issey Miyake is a crisp, aquatic women's perfume with a balance of musky, floral and wood notes. It's soft, clean and glowing with top notes of lotus, freesia, cyclamen, melon and rose water, middle notes of peony, carnation, white lily and lily of the valley and base notes of cedar, amber seed and sensual musk. A lovely and balanced women's fragrance. 1.7 fl. oz. An EDT spray. No express shipping. No shipping to PO boxes. After some thought, I decided to purchase this scent, I had smelled it in the dept. store and instantly loved it. the scent is soft not overwhelming yet intoxicating as it grabs you like the pied piper. I'm glad I made the purchase as it has become my new signature scent., sorry Perry, the love affair is over.